do not use this page. it was disabled on purpose ahead of GoLive. This is the "Village of Islands" along the Florida Keys and you'll enjoy your vacation here even more by staying a week or so in one of our beautiful Islamorada vacation rentals in the Art District at Mile Marker 81.8. While here, fish the clear blue waters surrounding Islamorada and discover uncrowded scuba diving along our beautiful coral reefs. Come to Islamorada to enjoy a cool tropical beverage at one of our iconic marinas, or relax on a sandy beach before a fantastic meal with friends at one of our favorite restaurants. Our Islamorada villas are located just north of the famous Green Turtle Restaurant and a short stroll to the Islamorada Art District. You'll have plenty of space to spread out and relax in our 3 bedroom, 3.5 bath villa rentals, each one with a gourmet kitchen, 4 smart TV's and in-home washer and dryer. Let the kids enjoy the playground, everyone enjoy the beach area, a floating dock for launching kayaks & paddleboards, boat dock and community swimming pool. 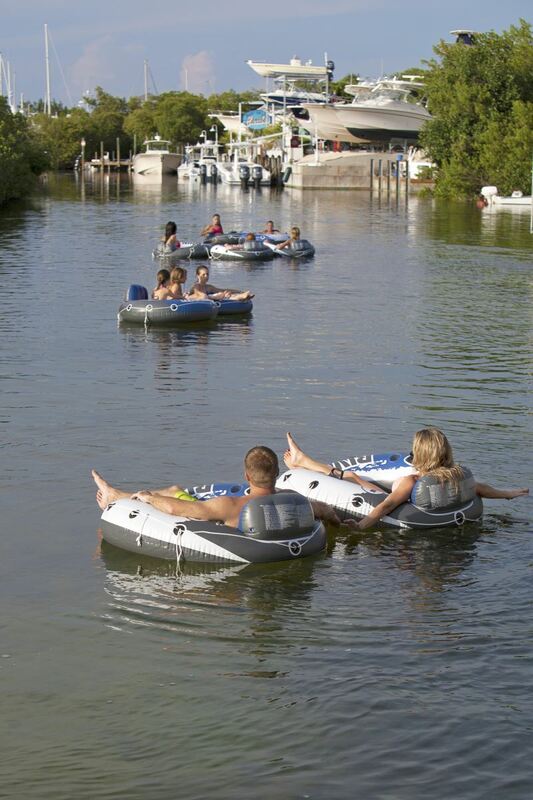 Your rental is in the center of a relaxing and fun Islamorada vacation.